John Kenneth Muir's Reflections on Cult Movies and Classic TV: Every Town Has An Elm Street: The Tao of Freddy K.
Every Town Has An Elm Street: The Tao of Freddy K.
In William Schoell and James Spencer's superlative companion, The Nightmare Never Ends: The Official History of Freddy Krueger and the Nightmare on Elm Street Films (Citadel, 1992), director and horror icon Wes Craven briefly recounts the youthful experience that led him to create cinematic dream-killer Freddy Krueger. Specifically, Craven reported that -- as an eleven year-old -- he awoke one night from slumber to the sound of strange, scuffling sounds outside his bedroom window. Young Craven got up out of his bed, went to the window, and gazed down to the avenue below. There, a mysterious stranger stood. The man looked up at the window and met young Craven's stare. A terrified Craven hid for several minutes. When Craven returned to the window, the stranger was still standing there; still looking up at the window...in the exact same position. He hadn't moved. "As an adult, I can look back and say that that was one of the most profoundly frightening experiences I have ever had," Craven told the authors of The Nightmare Never Ends. "That guy has never left my mind, nor has the feeling of how frightening an adult stranger can be. He was not only frightening, but he was amused by the fact that he was frightening and able to anticipate my inner thoughts..." (page 179). 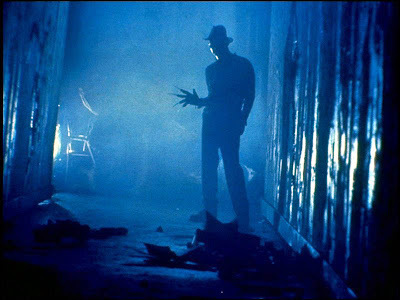 Meet Freddy Krueger, the villain of Craven's A Nightmare on Elm Street (1984), and unarguably the most popular movie boogeyman of a generation. This Friday the legend of Freddy K. is re-born with a big budget remake of the seminal Nightmare on Elm Street but -- disappointingly -- without Craven's input, advice or participation. Considering the imminent silver-screen re-birth of Krueger, this seemed like the ideal time to go back and remember those qualities that made Robert Englund's Freddy such a powerful cultural influence in the mid-to-late 1980s. In Craven's original film, Freddy's teenage victims have literally no place to turn. Tina's Mom is more interested in shacking up with her boyfriend than in helping Tina (Amanda Wyss) deal with her night terrors. Nancy's Mom (Ronee Blakeley) is a (mostly) useless drunk. Nancy's Dad (John Saxon) is a police detective, and always "on the job." Instead of listening to Nancy and helping her fight Freddy Krueger, he uses Nancy as bait to catch the wrong person (Rod). Glenn's Dad, Mr. Lantz (Ed Call) hangs-up on Nancy when she calls to check up on Glenn (Johnny Depp). "You've got to be firm with these kids!" he barks. The price of that self-righteous telephone hang-up: Glenn gets torn up by Freddy in the blood-flood to end all blood floods. The adult world depicted in A Nightmare on Elm Street is not one friendly to children. In fact, local children sing the famous jump rope song ("one, two, Freddy's coming for you...") from one generation to the next, to warn one another about Krueger and his monstrous actions. The parents themselves are too busy burying the past; too busy burying the "truth" in the hope that what they repress and deny will simply stay buried. Of course, it doesn't. 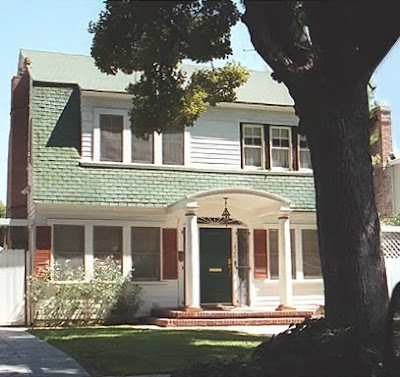 Freddy visits the sins of the parents (murder) on the children, and because their parents aren't honest with them, the children of Elm Street don't even know why this is happening to them. Writing for People in May of 1985, critic Ralph Novak wrote that "Craven is something of a generational turncoat. While he is 35, all of his adult characters have the intelligence and courage of cantaloupes." That's exactly right...by design. Nightmare on Elm Street is about the younger generation learning to make it on its own; about recognizing the terrors of adulthood. And yes, there are some things worse than lying or obfuscating parents. And that's what Freddy is: the amused stranger from Craven's childhood who enjoys terrorizing children because he can. There's something especially upsetting about this aspect of Freddy, the fact that he preys on children, on the young. The world can be a pretty frightening place even for adults (even without Krueger) in it, but just imagine being eighteen and finding out that this guy is after you. One of my favorite lines from the original film is Nancy's (Heather Langenkamp) shocked realization that -- without sleep -- she "looks twenty." That comment is so innocent, and yet so dead-pan. She means it. Not being forty years old like me for instance, she doesn't see that it's funny...that twenty years old is just a blip on the radar. Freddy is such a monster because he destroys such innocence. And he relishes the job. Freddy is also incredibly frightening because, much like Michael Myers, he's utterly inescapable. The great white shark from Jaws can't kill you if you don't go into the ocean, for instance. However, everyone must sleep sooner or later. Everybody has to dream. And that's the field where Freddy stalks his prey, on the dream plateau. Freddy can afford to be patient because he knows that he always has the home-field advantage. He lives in dreams, and we just visit that often-surreal place. The dream sequences of a Nightmare on Elm Street -- at least before some of the more outrageous rubber reality set-pieces of the sequels set-in -- all play cannily on very basic human fears. That we're being chased for instance, and that our feet get, essentially, stuck in mud. Or that there's something hiding in the bubble bath unseen...where we're vulnerable. Or that the monster chasing us can stretch beyond human proportions to grab us. Freddy scares us because we're all vulnerable to the irrationality of dreams. But again, Freddy thrives there. He uses that irrationality, that vulnerability against us. Our nightmare landscape is his playground. I always say that Nancy Thompson is Hamlet for the horror set. Consider that A Nightmare on Elm Street serves as a direct thematic counterpoint to John Carpenter's Halloween (1978). In Halloween, Laurie Strode (Jamie Lee Curtis) sits in high school English class while an unseen adult teacher drones on about "fate" and "destiny." In the midst of the class, Laurie sees Michael Myers' car on the street: she thus glimpses her fate. As the teacher explains on the soundtrack that "you can't escape fate," we are led (through the visuals) to understand the connection: that Laurie cannot escape her impending connection to an escaped serial killer. By contrast, A Nightmare on Elm Street finds Nancy Thomas in another high school English class as a teacher discusses the resourcefulness of the melancholy prince in Shakespeare's Hamlet. The teacher notes that Hamlet "stamps out the lies" of his mother, something which Nancy will do in Elm Street as well, and that the prince "probes and digs" to find the truth. Again, that's the very task Nancy undertakes: seeking information about the life and death of Freddy Krueger, and her parents' role in his murder. The Elm Street philosophy suggest that only by digging beneath the surface, by learning the truth of a thing, can one overcome the sins of one's parents and survive. The key to beating Freddy is to know and understand him: to see that he thrives on the energy of your hate, and then rob him of that energy. I realize that my conservative friends and readers get exasperated with me for pointing out some, er, unpleasant facets of the Ronald Reagan years in America. Like the fact that Reagan repeatedly expressed a belief that we were living in the Bilbical End Times. Like the fact that he joked about bombing Russia on an open mic, or claimed, erroneously that nuclear missiles could be recalled after launch. Or that his tax cuts for the utra-rich turned an 80 billion dollar deficit into a 200 billion deficit in just two years. Or that 35 million more Americans lived below the poverty line in 1983 than did before he was inaugurated. It was in this decade, as well, that middle-class American families, by trying to keep up with the yuppie Joneses, had to become two-income households. And that meant the advent of the "latch-key kid" syndrome: the child who came home from school to find...nobody at home. All of this context plays into the terror that is Freddy Krueger. The sins of the father -- the national debt -- is visited onto the children; just as the sins of the father (murder) was visited upon the children of Elm Street. More than that, the ascent of Freddy - a hellish demon -- in supposedly secure middle America suggested nothing less than an apocalypse in the making. In Freddy's Dead we saw what ultimately became of Freddy's Springwood. As you may recall, the affluent community had turned into a ghost-town. And today, to continue the economic metaphor, there are hundreds of small towns in America where Main Street looks just like Springwood: places where the economic policies of the last thirty years have destroyed prosperity. This is who Freddy was. Who Freddy has been for a quarter-century. After Friday, I'm not sure who he will be. If the talents behind the remake are smart, they have paid adequate note to our unsettled times; to America's continuing dreads and fears. If the new Freddy can tap into these 2010 bugaboos, then the long-lived dream demon will survive the translation to the next generation. If Freddy becomes, instead, just a ring-master shepherding a circus of impressive special effects, this new iteration of the legend may not carry the power of his predecessor. I wish Craven had been involved in the making of the film; at least then we would know for certain that the film would carry some sub textual meaning, or genuflect to the ideas that have currency in today's America. 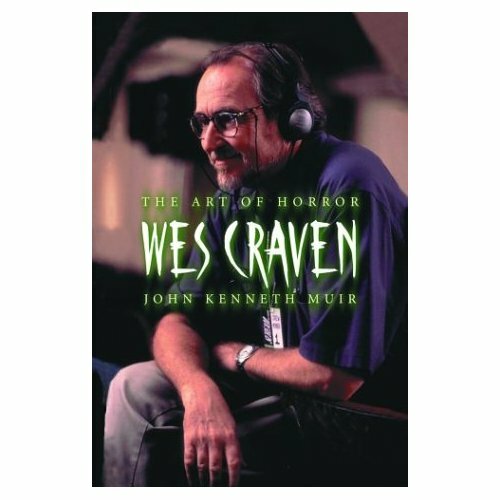 If you're interested in reading more about Freddy and his creator's history, don't forget to check out my 1998 book: Wes Craven: The Art of Horror. A timely and great look back at this horror classic, John. I'm a real fan of the original, and especially because of the tenets you breakdown so clearly, here (the sequels I care a little less about). With Michael Bay producing, and no Wes Craven to give it a sophisticated undercurrent--something Bay lacks, I don't have much confidence for the 2010 remake. Jackie Earle Haley is a fine actor, but I don't envy his attempt at re-imagining this nightmare icon. But, I do appreciate your re-examination of one of the best movies Craven ever produced. Thanks for this. I totally agree with your feelings about the upcoming remake of Nightmare on Elm Street. I try very hard to take each remake on a case-by-case basis...but it just seems insulting that Craven wasn't even brought in to consult on the project. I'm not saying that the film will be terrible, I'm just saying that I'm not enthusiastic. I plan to see the film on DVD, but not in theaters. There's just not enough of a draw to get me into an auditorium. Without being a nitpicker, I already don't like the new Freddy's make-up. I agree with both of your sentiments re: the remake. Not to mention the fact that it's directed by music video director Samuel Bayer, which doesn't inspire confidence (after all, look what fellow music video director Dave Meyers did with THE HITCHER). I have a bad feeling that this new remake will spell out/explain Krueger's back-story way too much whereas in the original, we were given tantalizing bits of info and allowed to fill in the blanks our selves, letting our imagination run wild with it. These new remakes, by and large, tend to spell everything out for you. And with the exception of Jackie Earle Haley and Clancy Brown, the cast for this new film looks pretty generic. I always remember the lead teen actors as not only were the characters memorable but so were the people playing them. This is something that also tends to be missing from these new remakes. I shall wait until DVD for this new one as well. Great analysis, JKM! I really enjoyed it and it has me itching to watch the original film again. It's been too long. Great article; thanks! As for the remake, the fact that Bayer was a music video director doesn't bother me. The nightmare sequences in the original movies are very much like music videos, especially Part 5's comic-book-death, which is extremely similar to a-ha's Take on Me video. I am wary that the remake won't have much depth beyond what it brings in from the original story, although I'm seeing it in the theater due to the cast, which I feel are all very good actors (Jackie Earle Haley, Kyle Gallner, Katie Cassidy, Thomas Dekker, Clancy Brown, and Connie Britton) and the fact that the blu-ray for the original came with essentially a free ticket ;). I might be odd for thinking that as much as I like Part 3 it started a downward trend in the depiction of Freddy towards the comical (which was somewhat corrected with Part 7). I agree with J.D. that backstory can kill what works about some of the better horror villains. I think that happened with Halloween 6 and Rob Zombie's Halloween (at least for me). For me, I'm as excited about this as I would have been for A Nightmare on Elm Street Part 10, which would have probably been just a different type of rehash of Part 1. I adore Wes Craven, though; I doubt this film will rank above 1, 3, and 7 for me. Elm Street is fairly unique for me when it comes to horror franchises, as it's one of only two series where I've made a specific point to see all the entries. (The other being Phantasm, by the by). I found 1, 3, and New Nightmare to be my favorites in terms of scare quality - with the rest enjoyable on the basis of being acceptable popcorn fodder as the levels of camp and contrivance increased and Freddy largely became a sweater-clad Crypt Keeper. So that said, put me in the skeptical but wanting-to-be-hopeful bin. I see what look like nods to the original in the trailers, and I think I'd likely very much enjoy a skillful retelling of the original. The matter of directors present and missing however certainly gives pause. I'm admittedly on the fence regarding the makeup. It doesn't look as 'died-in-a-fire', true - but I don't think it's horrid either. We shall see, eh? Such a great series to look back on. I've seen the original NOES a dozen or more times but watching it recently I was able to, for the first time, laugh out loud when Nancy said "I look twenty!" with such disgust. I'm beginning to think Wes Craven is the John Hughes of horror. You make such terrific arguments it's as scary as Freddy Krueger. Your incorporation of the political elements of the time a la Ronald Reagan are completely well articulated. I agree the current filmmakers have hopefully tapped into the tone of the times. 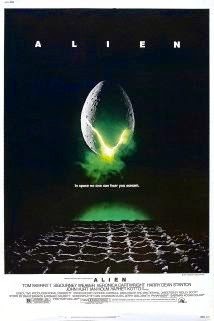 It would make for a decent film even if still a remake which is almost worse than a sequel at times. I would say Middle Class America is still paying and under more stress than ever before. A little more than 50% of the country is paying for the other half. I still see latch key kids in my own neighborhood. I haven't looked at the deficit numbers but I can't imagine they've gotten much better in the last year going forward. Government programs can't pay for themselves and they aren't decreasing. And while I don't think it's the end of days myself, these are particularly dangerous times just the same. I'm not even close to wealthy. I'm a simple man with simple pleasure, but certainly like a little less federal intervention in my life. With all that's going on today, I'm not sure how prosperity will ever have a chance. Politicians are as corrupt as ever across the board. 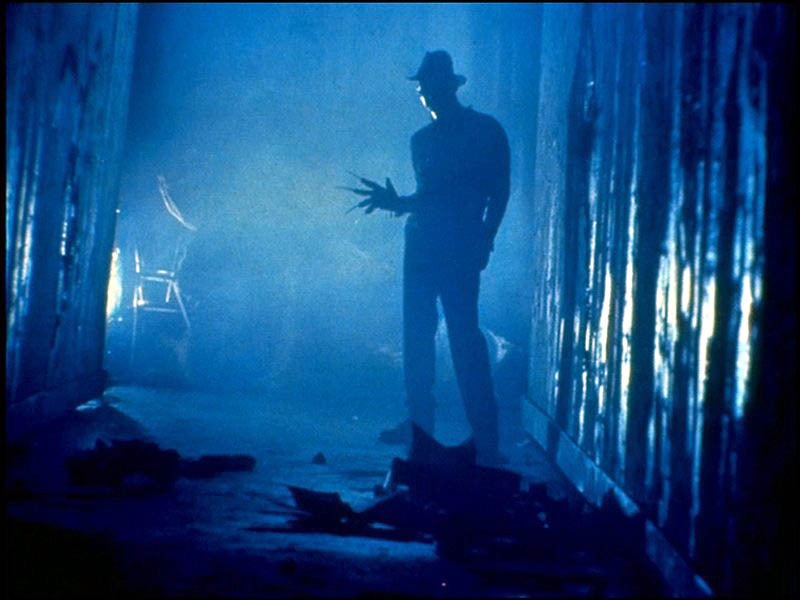 Maybe Nightmare On Elm Street will be an awful lot like the original afterall. As always, a terrific post. I hope you don't mind my playing Freddy's advocate. Hey everybody, thanks for the comments on The Tao of Freddy. J.D. : I too fear that this remake will probably explain too much about Freddy. I want to say again to prospective horror film directors: mystery = horror. Explanations = ?! Somehow, that message keeps falling on deaf ears. woodchuckgod: I do hope the movie is good. I know a lot of people hated H2 (Rob Zombie's H2 that is), but when I saw it on DVD I thought that, though undeniably odd and different, it was wild and wonderful, and the nutso-imaginative product of one man's artistic vision. If the new Nightmare were to be in that camp, I'd be happy. I'd prefer that to just some generic thing. I am going to see the film on DVD, and withhold judgment until I do. I will publish a review here when I do! Sci-Fi Fanatic: No worries, buddy! We don't have to agree on everything, and believe it or not there are several conservative readers who frequent this blog! And besides, I find that I can't disagree with you regarding the status of the middle class in America today: it's in worse trouble than it's ever been. It is falling behind, no doubt about it. I enjoyed reading your comment and always value your opinion. This is how the conversation in America should be today. It's not there. Thank you again John. Just saw the movie, and I can say that while there were some interesting things about this remake, it ultimately failed to really involve me, and "don't fall asleep" was taking on a personal meaning! I think DVD is the right way to go. slasherfan: thank you for the update from the front lines! I'm glad you checked in to let us know about the experience. I'm sad (for Freddy and the franchise) but I can't say I'm totally surprised that the remake turned out to be weak porridge. I have to think that this remake is going to suffer the same fate as 2009's Friday the 13th: a big first weekend, but a quick decline. In other words - franchise killer?! We'll see. I had this post on my mind while watching the new NOES yesterday and it ended up being prophetic as to exactly what is missing from the new version. For example, the classroom scene is redone but stripped of any references to Hamlet. They had some free, on the house, dialogue there that they could have used but it's as if they went through the original film and purposely removed any and all meaning or subtext. I hate to report that the new film is a dead fish. Thank you for the great comment, and another timely, opening-weekend report on the NOES remake. You and I are very much on the same page about this, and about our taste in horror, I believe. By contrast, the new Nightmare just sounds like the old nightmare with a lobotomy. And to me, that is unforgivable. I agree with you, it is a worse sin to give us a toothless horror than a controversial one. Thank you for the kind words. I appreciate 'em! !